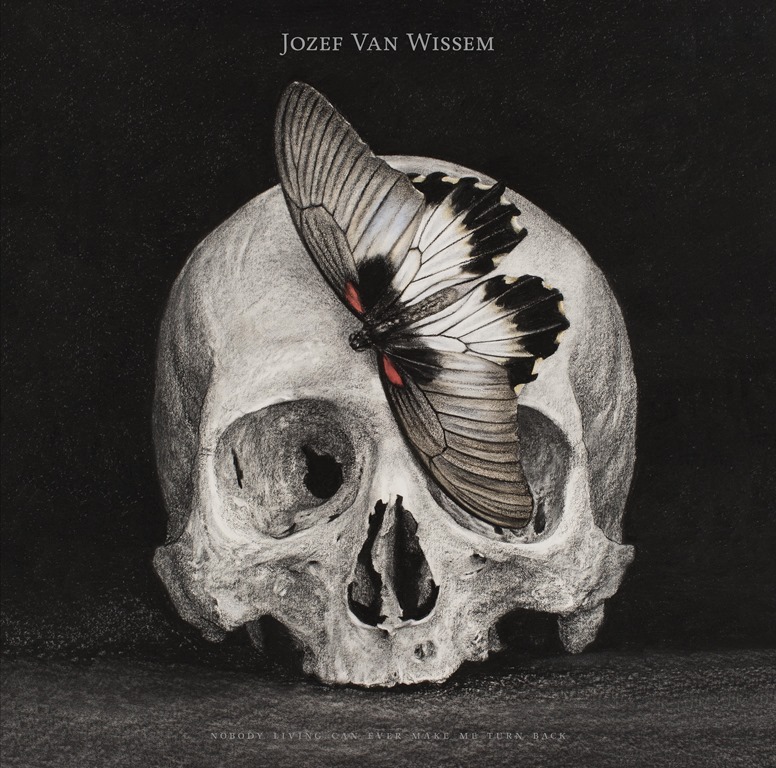 The cover art to Jozef Van Wissem’s latest album isn’t only intrinsically connected to the musical contents, but is essentially an explanation. The picture in questions is a contemporary vanitas painting by the Belgian artist Cindy Wright. More common in the 16th and 17th centuries, vanitas are, according to the Tate, ‘closely related to memento mori still lifes which are artworks that remind the viewer of the shortnes (sic) and fragility of life (memento mori is a Latin phrase meaning ‘remember you must die’) and include symbols such as skulls and extinguished candles’. Like Wright’s drawing, Van Wissem’s music is of another time. And while any album on which the dominant instrument is the lute is inevitably going to evoke times long past, something about Nobody Living Can Ever Make Me Turn Back hints only in part at the Renaissance. Across the seven compositions, Van Wissem conjures a deep, almost occultic mysticism. Humming chorial swells and sparse drums beating like thunder, all enveloped in cavernous, sepulchral echoes. Just as Wright’s work is exquisitely executed with a remarkable level of detail and craft, so the playing is rendered with an intense focus, but not so as to sound stiff or stilted: the notes flow elegantly. And while the overarching theme may be mortality, Nobody Living Can Ever Make Me Turn Back has an air of lightness and optimism about it, carrying in a sense of a celebration of life and hinting that what may follow may be brighter and more beautiful still.